Stocks were declining on Friday as investors reacted to the Turkey financial crisis, among other factors. The market reversed lower following global stock markets' rout. Will uptrend reverse or is this just a downward correction before another leg up? The U.S. stock market indexes lost 0.7-0.8 percent on Friday, retracing some of their early August advance, as investors reacted to global stock markets' rout. The S&P 500 index broke below its relatively narrow three-day-long trading range following bouncing off the resistance level of around 2,860-2,865. It currently trades 1.4 percent below the January's 26th record high of 2,872.87. The Dow Jones Industrial Average lost 0.8 percent and the technology Nasdaq Composite lost 0.7 percent on Friday. The nearest important level of support of the S&P 500 index is now at around 2,820-2,825, marked by some previous local highs. The next support level is at 2,800. On the other hand, the nearest important level of resistance is at 2,845-2,850, marked by Friday's daily gap down of 2,842.20-2,851.98. 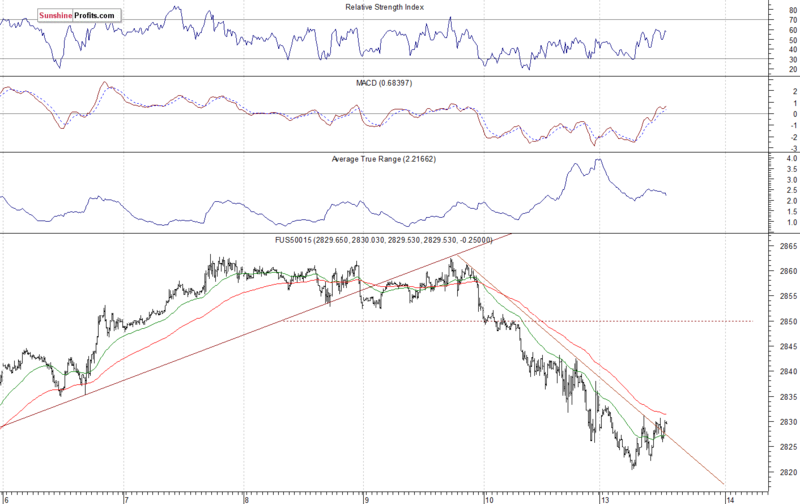 The resistance level is also at 2,870-2,875, marked by the mentioned January's all-time high. 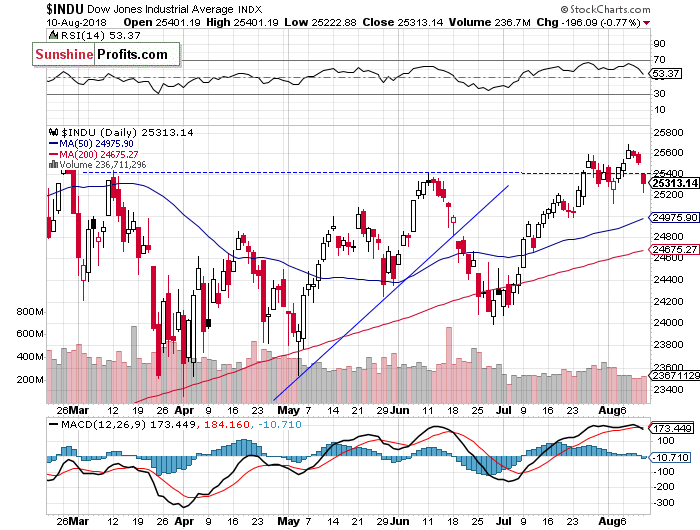 The Dow Jones Industrial Average retraced some of its recent advance on Friday, as it got back below the level of 25,500. The blue-chip stocks' gauge continues to fluctuate following its July rally. The S&P 500 index fell below its three-day-long consolidation on Friday, as investors reacted to an overnight global stock market rout. 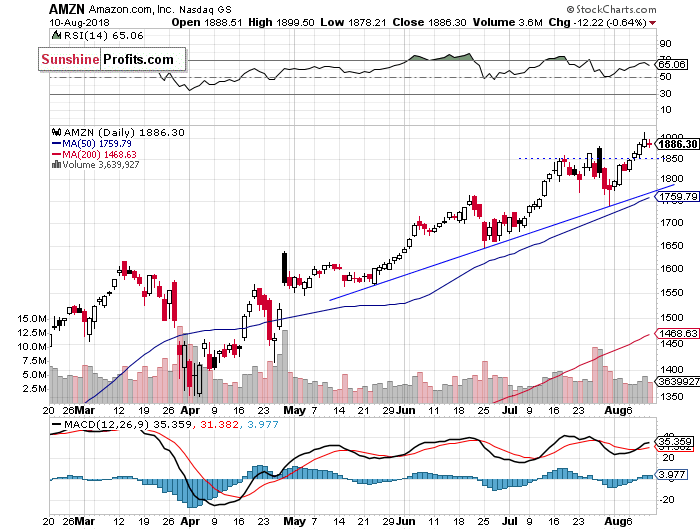 The broad stock market retraced some of its early August advance. So is this a new downtrend or just downward correction? For now it looks like a downward correction, and the support level remains at around 2,800. Concluding, the broad stock market opened slightly higher today. 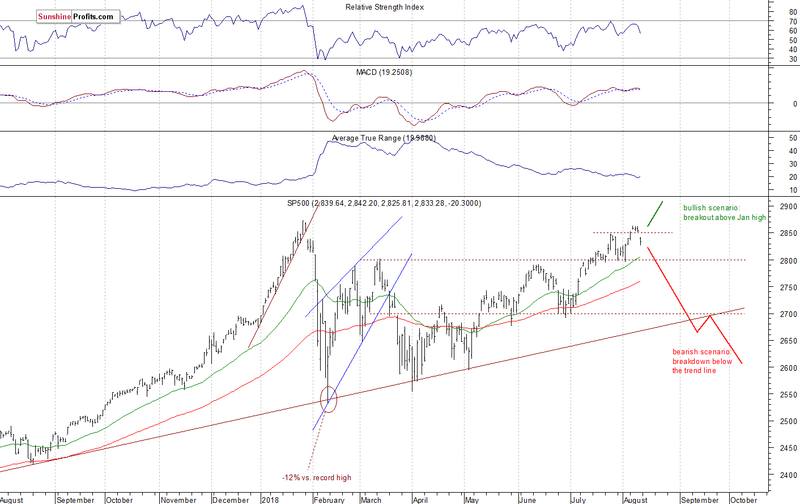 The S&P 500 index may fluctuate along its late July short-term consolidation. It may act as a support level. 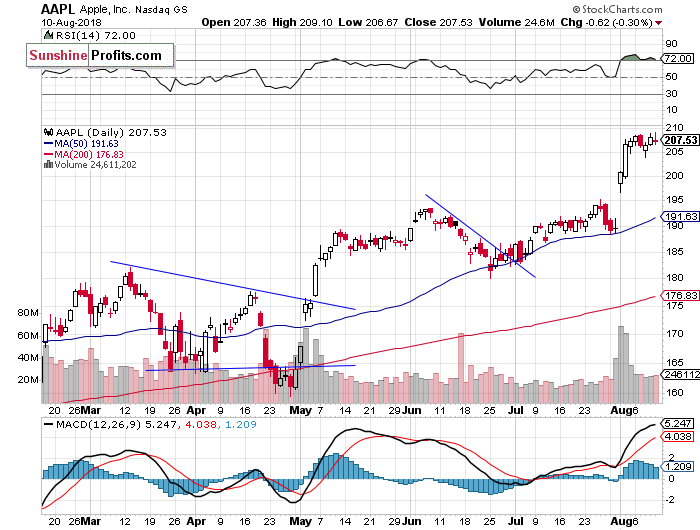 For now, it looks like a downward correction following the early August advance.